After a 4 month hiatus, Groove Inc reinvigorated their fans with shocking news! 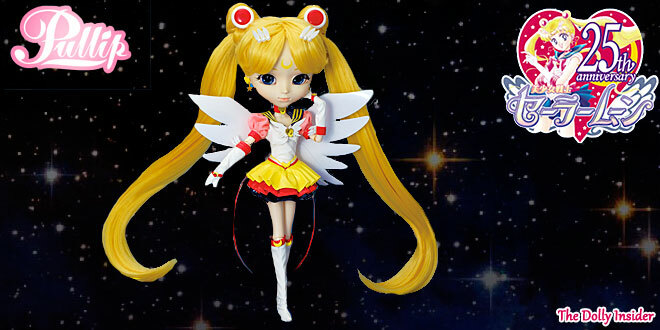 Pullip Eternal Sailor Moon will express Usagi Tsukino's final transformation. She will mark the 23rd Sailor Moon doll and according Groove Inc she is the 1st to restart the Sailor Moon & Pullip collaboration. Does this mean we can expect to see a whole line-up of future Sailor Moon releases? 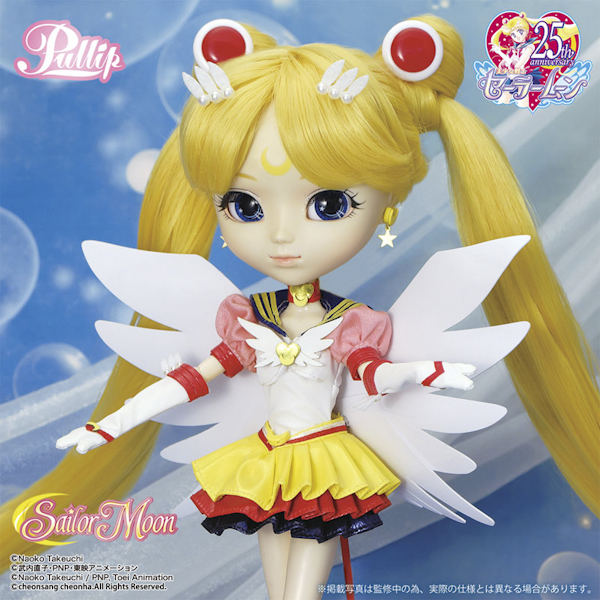 The partnership between Groove Inc & Bandai started in July 2014 with the release of Pullip Sailor Moon. I find it amazing how long this collaboration has been going on. 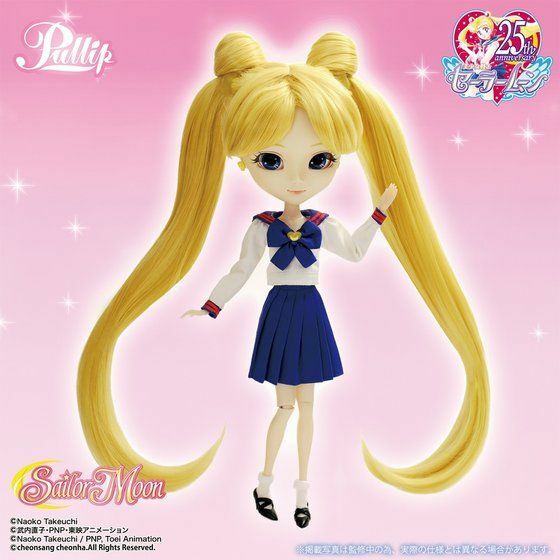 The last Pullip Sailor Moon released was Pullip Mistress 9. Her announcement was in June 2016 and she came out in September 2016. 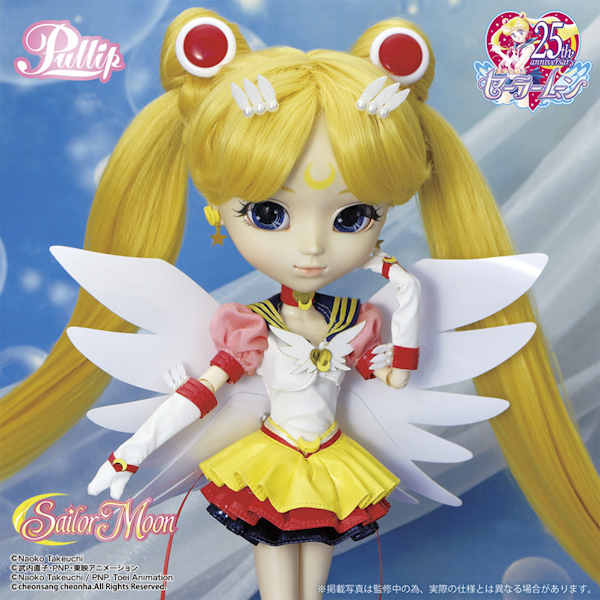 Visit here to checkout the whole line up of Sailor Moon inspired dolls. 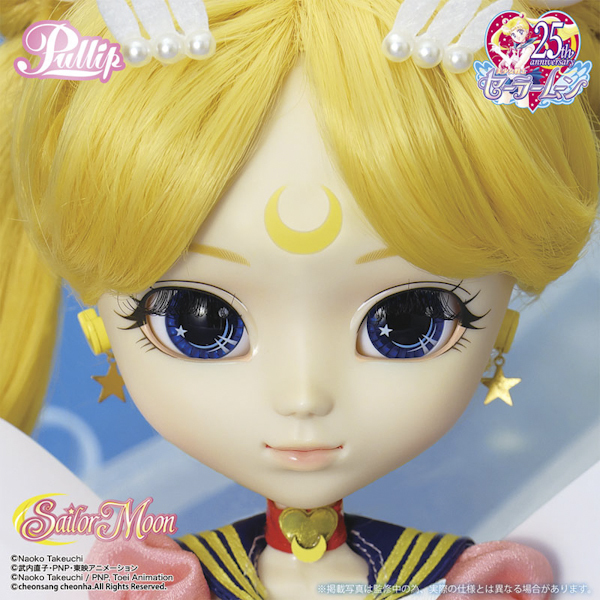 Pullip Eternal Sailor Moon will arrive late September 2017. Pre-orders will begin June 22, 2017. 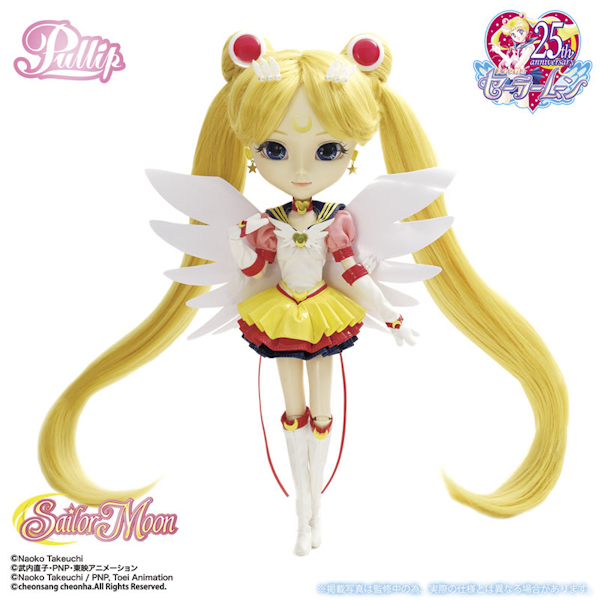 Like previous Sailor Moon Pullips, there is a Premium Bandai version and a regular release version. At this time there is no info about what the Premium Bandai exclusive will include. If you are a long time fan of the Sailor Moon series, could you sprinkle your Sailor Moon knowledge with us who are unfamiliar with the series? 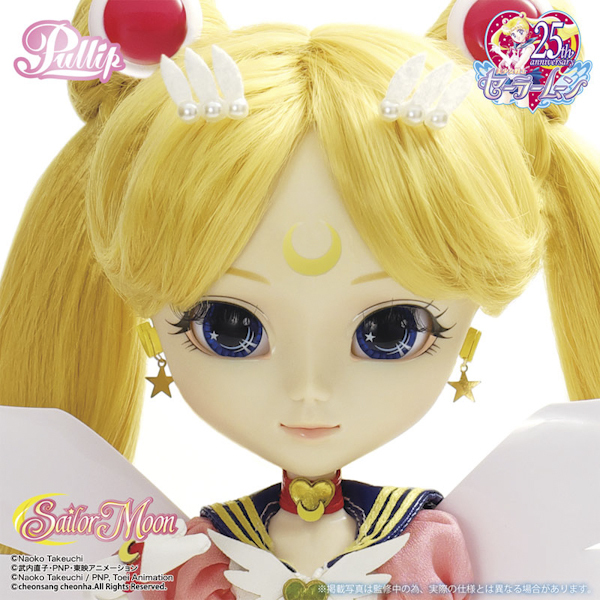 And what characters do you think will be part of this new installment of Sailor Moon Pullip dolls? 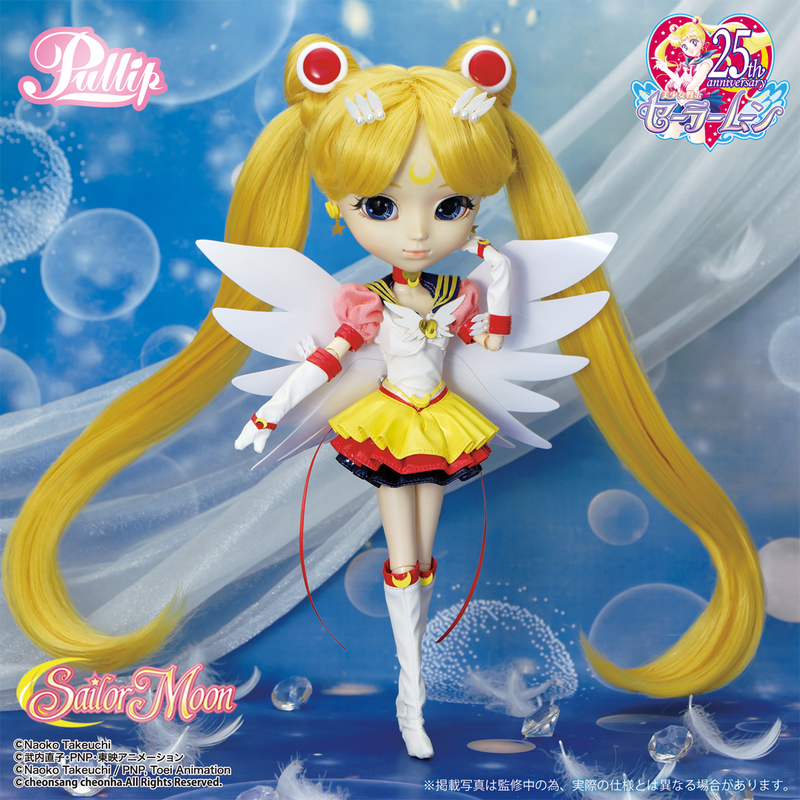 After months of no new doll announcements, were you surprised that a Sailor Moon themed doll was the one to break the dolly dry spell? 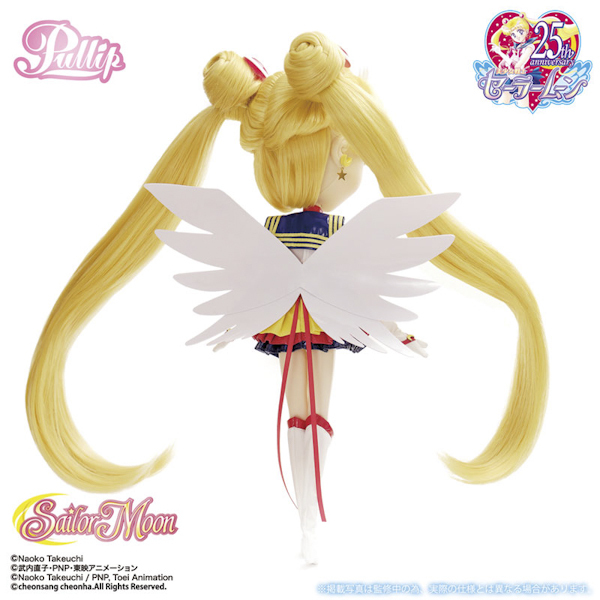 Sailor Moon fans, will your collection be complete with the addition of Pullip Eternal Sailor Moon? And for Pullip fans, did this release get you excited for what's to come from Groove Inc? This doll is very adorable, I hope they’ll make Pullip dolls of the female villains, Taeyang dolls for the male villains, Dal dolls for the Sailor Quartet and a Sailor Chibi Chibi doll! 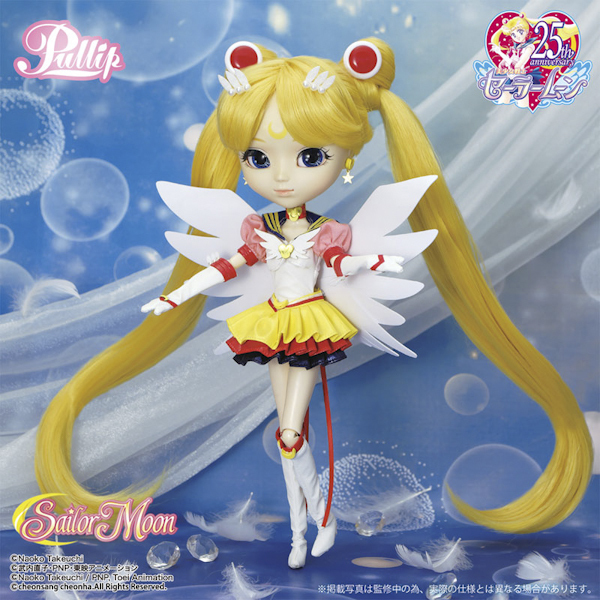 I hope the other sailor senshi’s super forms, eternal forms, and princess forms become dolls too! Most importantly, Prince Endymion better have a doll haha! 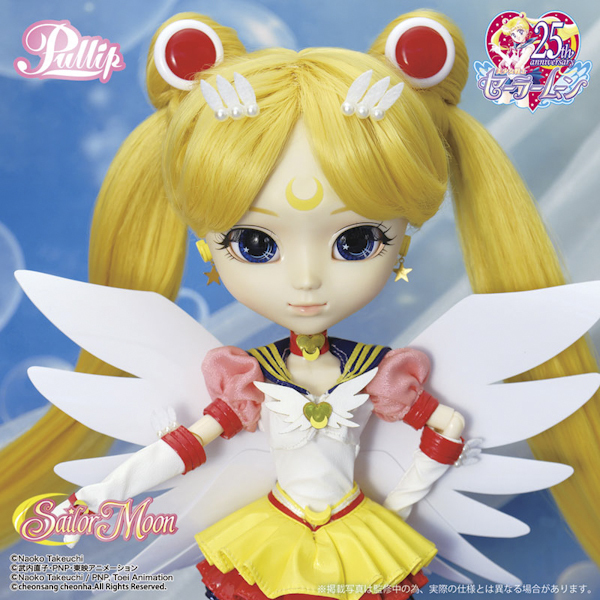 Thanks a bunch for sharing which Sailor Moon characters you would like to see in Pullip form. Groove Inc released so many characters from the series already that it would be a shame to stop now. Thanks again for chatting with us. I love the lineup and I’m very excited at the thought of more sailor moon dolls. 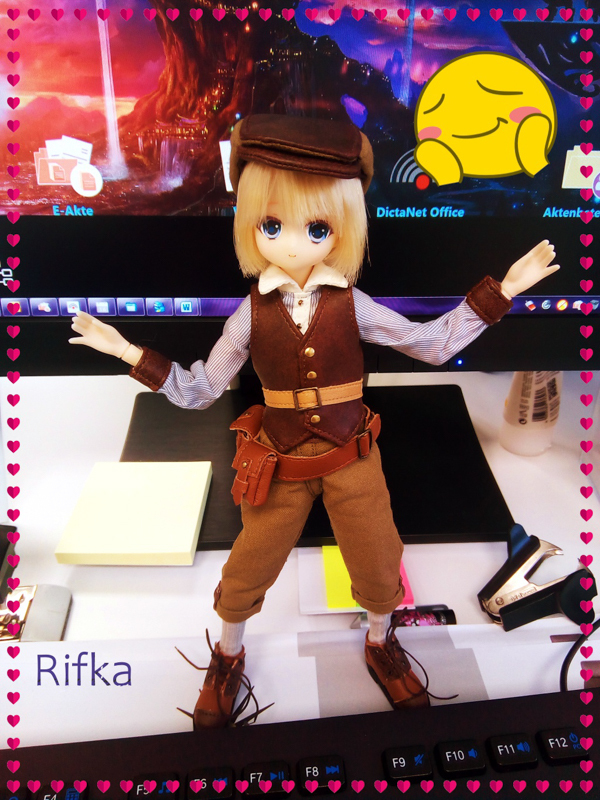 I know regular pullip collectors are disappointed, but I’m soo happy. Eternal sailor moon is gorgeous and I really hope we get more. I want to see the villains get dolls. 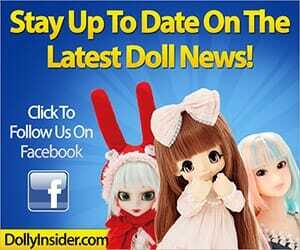 Oh wow, I’m surprised to see there are more characters that haven’t been transformed into Pullip dolls. I wonder if Groove Inc will continue the Sailor Moon series in 2018. 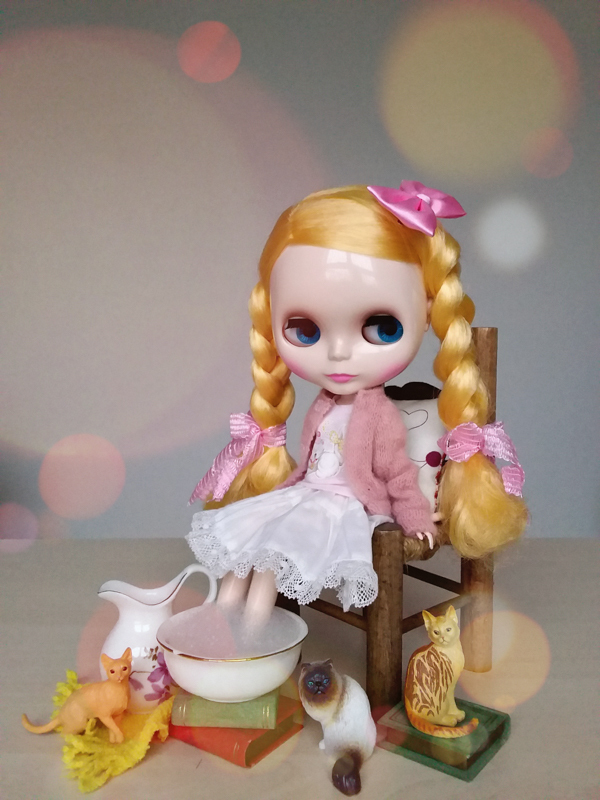 Thank you sharing the characters you would like to see transformed into Pullip dolls! Oh wow, just Googled the Amazon Quartet, what a interesting group of girls. It would nice to see them transform into Pullip dolls. I’m curious to see who Groove will announce next. I’m really tired of this series and I was a huge Moonie in the 90s. I feel like Groove is done with original dolls, is jacking up prices, and frankly they’re just low quality. Pullips are sort of going by the wayside and it’s as much the company’s fault as anything. Thank you for sharing your feelings about Groove Inc & Sailor Moon. I find your point of view interesting since you were a huge Moonie fan. If you’re feeling this way as a Sailor Moon fan I’m curious how the non-fans are feeling. It feels like Groove Inc is distancing themselves from long time collectors and also moving away from what made Pullip special, which was the original designs with a mix of anime every now and then. It’s very disheartening that after months of silence Groove Inc isn’t offering collectors an original doll. The next couple of months should interesting for Groove and fans. Hopefully the announcement will fire up excitement within the community! After the release of Mistress 9, a part of me was hoping that there wouldn’t be any more dolls, but on the other side, I really didn’t think the collaboration was over as there were 3 characters still pending from the original lineup shared by Groove: Eternal Sailor Moon, NeoQueen Serenity, and Prince Endymion. The first 22 dolls were part of the Sailor Moon 20th Anniversary Project. Now they’re celebrating the 25th, so I’m expecting a similar number to be released given that there are still plenty of characters to choose from. Hey Pauleen Potter it’s great hearing from you. No way you’re kidding, Usagi Tsukino has another form? How does Neo Queen Serenity differ from Princess Serenity? I have a feeling we may see the other 2 characters you mentioned. I imagine the series would feel incomplete without them.